Free Shipping Included! Bamboo Shield - 25 Foot Long x 30 inch x 80mil Bamboo Root Barrier/Water Barrier by Bamboo Shield at Halo Grow Box. MPN: Bar-80-30-25. Hurry! Limited time offer. Offer valid only while supplies last. Controls growth of bamboo by limiting rhizome (root) expansion. Made in the USA from High Density Polyethylene (HDPE). Superior to metals because it will not rust and easier to install. 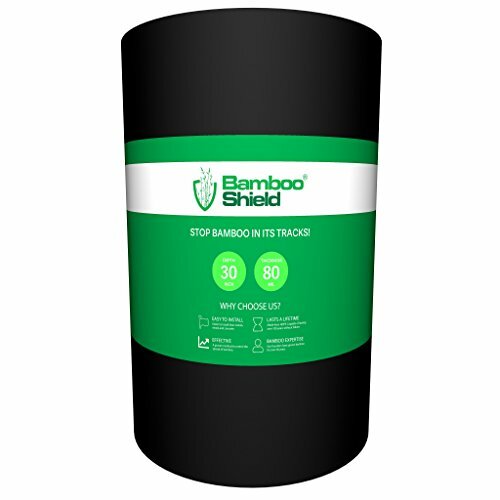 If you have any questions about this product by Bamboo Shield, contact us by completing and submitting the form below. If you are looking for a specif part number, please include it with your message.